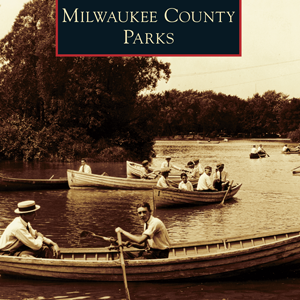 What did early Milwaukeeans do to have fun and relax? 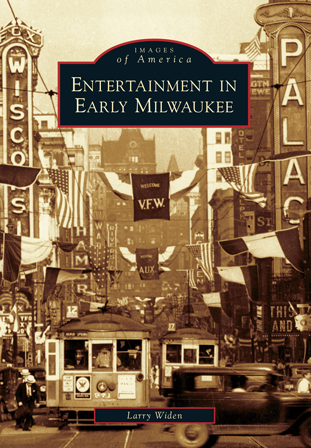 This book answers that question, covering pop culture from the mid-1800s up to 1950, from the earliest tavern stages hosting traditional German plays and musicals, to the large traveling circus acts that arrived via the railroad, to the beer gardens, nickelodeons, and old grand cinemas that dominated the city’s landscape during the first half of the 20th century. 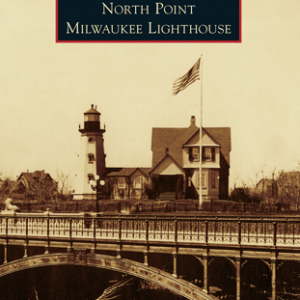 In its heyday, Milwaukee had several classic amusement parks with roller coasters, fun houses, water rides, and more. The first movie was shown in Milwaukee in 1896, and by 1920, there were nearly 100 buildings dedicated to motion pictures. And it was two Milwaukee businessmen who discovered the great Charlie Chaplin and also produced the 1915 epic Birth of a Nation. 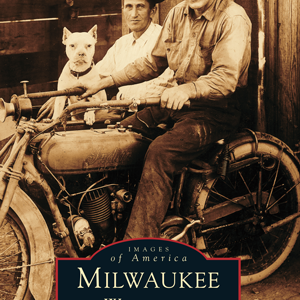 Larry Widen, author of seven books and numerous articles on Milwaukee history, brings to life the city where all this activity took place, with over 200 vintage images and postcards in Entertainment in Early Milwaukee. Widen, a member of the Milwaukee County Historical Society and the Wisconsin State Historical Society, owns and operates the Times Cinema, a 1935 art deco movie theater near downtown Milwaukee.